Splash Car Wash, since it first opened its doors on West Putnam Avenue in Greenwich in 1981, has been in the service of its valued patrons and the society at large. Splash Car Wash now has 19 locations throughout New York and Connecticut, with recent openings at Bedford Hills, NY to Cromwell, CT. Each Splash Car Wash center offers a wide range of car wash, detailing, and oil and lube change services to ensure optimal driving condition of vehicles. 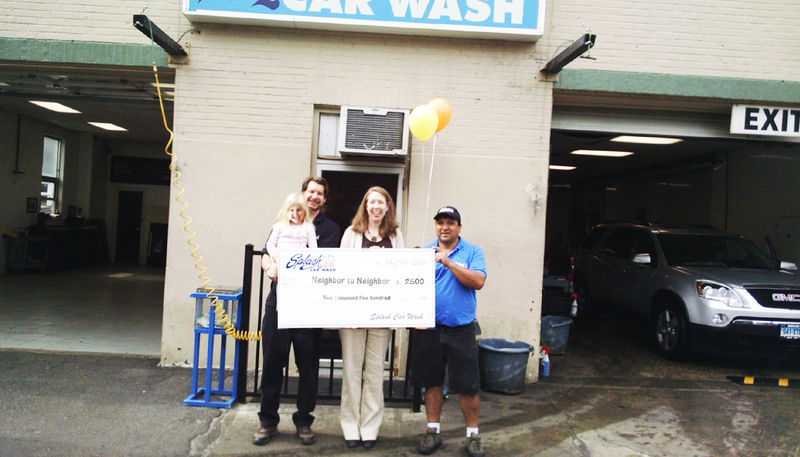 Expressing his excitement, Mr. Clark shared, “This year Splash Car Wash is more than happy that it contributed $2,500 to Greenwich based Neighbor to Neighbor.” He took pride in stating that every dollar of this amount came directly from Splash Car Wash Greenwich and Cos Cob customers buying gift certificates from these service centers. Mr. Paul Clark pledged that Splash Car Wash, while delivering quality services, will continue to support all organizations in the communities it serves. He expressed his gratefulness to all the patrons and customers of Splash and other eminent citizens whose philanthropy not only made all this possible but helped to convert it into as a sacred mission. During the last 30 years, a lot has happened. But one thing that has not changed, is the ardent commitment of Splash to local organizations and the communities it serves.